How Does Laser Neck Tightening Work? 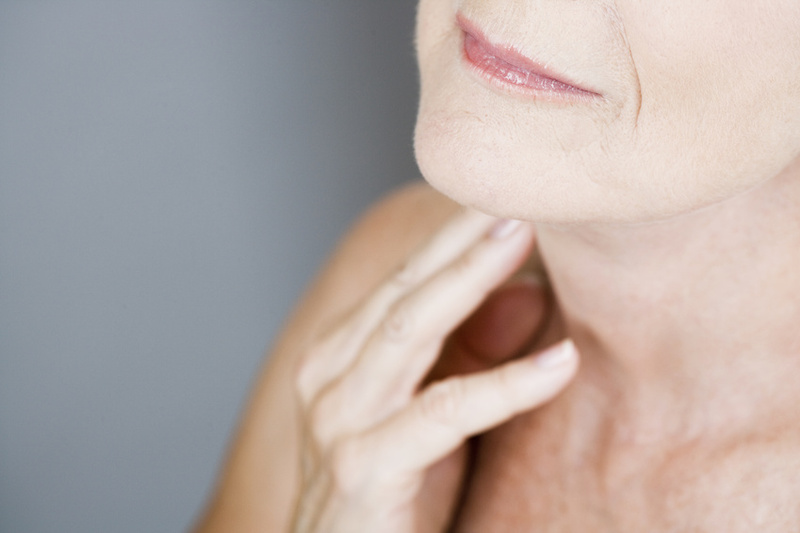 The neck is normally the first place to see signs of premature aging. As we age our natural collagen production decreases, our skin starts to lose its elasticity and strength resulting in the formation of vertical and horizontal lines and sagging skin known as “turkey neck”. Piano Mode: delivers deep bulk heating to the neck for 3-4 minutes with temperatures between 42-44°C on the surface on the skin. Bulk heating at controlled high temperatures stimulates cells, boosts collagen production and increases elastin in the dermal layers resulting in the remodeling of the skin! The first step is very relaxing, the sensation can be compared to warm water being poured on your neck. Frac3 Mode: is the second step of the treatment that fractionates the laser under the skin to eliminate any imperfections. Frac3 affects the deeper layers of the skin resulting in reduced skin laxity and collagen stimulation. This mode also improves a number of different imperfections such as the skin’s tone and texture, mild scarring and fine lines and wrinkles. Smooth Mode: is the last step and is ideal for neck tightening. It is a controlled surface tissue heating that targets collagen, stimulating new collagen growth, improving the necks laxity and increases elasticity. An immediate polished look to the skin is achieved with this last step. Once you’ve completed a series of treatments you will see maximum results after 3 months. Typically it will last 12-18 months before your body naturally breaks down the collagen and elastin. We recommend maintenance treatments every 12 months to preserve your results. Our neck tightening treatments are a no downtime procedure. You may be red and blotchy and feel like you have a mild sunburn but those symptoms generally subside within a few hours. Some clients experience light flaking 2-3 days after the treatment which can be treated with a daily moisturizer. This answer varies depending on clients age and the skins laxity. We suggest anywhere from 3-6 treatments spaced approx. 4-5 weeks apart. Can All Skin Types Safely Do This Treatment? Yes, we can safely treat Light, Medium and Dark Skin tones effectively! We make this treatment as comfortable as we can for clients while achieving maximum results. Piano Mode feels like warm water being poured on your skin, it is very relaxing and enjoyable. Frac3 has been compared to a prickly sensation. We use a machine that blows cold air on the skin at the same time the laser is treating to avoid any discomfort. Smooth Mode clients call “spicy” but it is very well tolerated. Overall the treatment is very comfortable and no numbing cream is required. 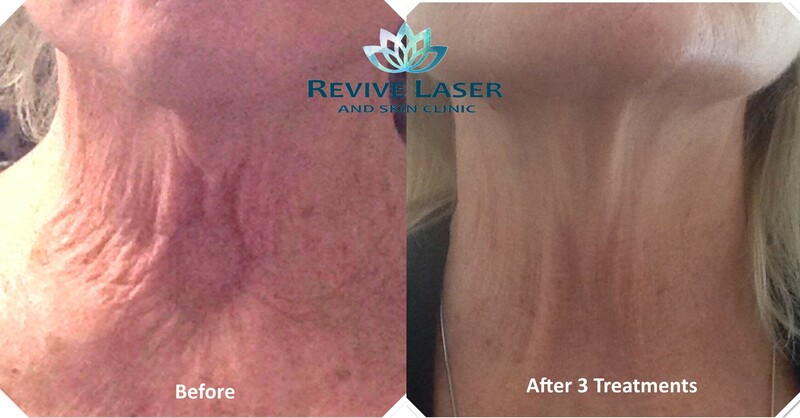 As you can see, the results of Laser Neck Tightening and Rejuvenation treatments can be profound. 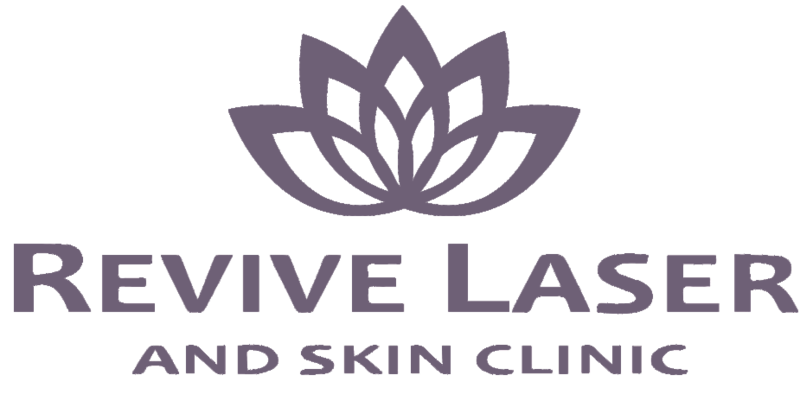 Find out how Laser Skin Rejuvenation can help you feel more confident in your skin. $400 per treatment. 3-6 treatments will be required, 4-6 weeks apart. Packages of treatments are also available.